We organize JoomlaDay Poland for the community and entrepreneurs. Join us! JoomlaDays in the whole world are organized thanks to the commitment of companies and businesses offering their products and services for Joomla - extensions, templates, website creation, hosting, audits, positioning, training, courses, books, and more. 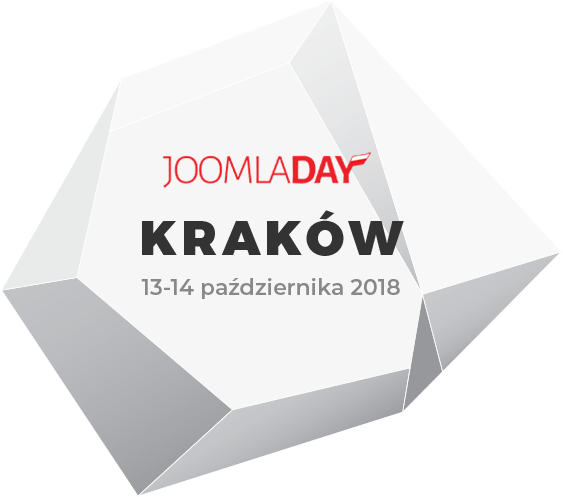 We offer one JoomlaDay Poland 2018 Main Sponsor package for 1700€ / $1875. We offer five JoomlaDay Poland 2018 Silver Sponsor package for 700€ / $900. We offer twenty JoomlaDay Poland 2018 Gifts Founder packets for 700€ / $900, including a contribution of at least 125€ / $150.